There's no denying that the Blue Mountains is at its best in the cooler months, with its crisp air and crackling fireplaces—the place is really quite magical don't you think? There's no better time to escape the big smoke and get out of town, even if it is just for the weekend. So, here's our guide to the winter wonderland that is the Blue Mountains. And, like any good itinerary, it's jam-packed with all the iconic sights, boutique shopping, and delectable fine dining that the region has to offer. Pack your coats, it's going to get chilly. Read on for our guide of things to do in the Blue Mountains. The Blue Mountains' most famed landmark, The Three Sisters rock formation represents three sisters who, according to Aboriginal Dreamtime legend, were turned to stone. The Giant Stairway is also found at Echo Point, where you can take 800 steps down to the floor of the valley (and back up again!). Glide between cliff tops on the Scenic Skyway or ride the steepest railway in the world at Scenic World. For those looking for a bit of adventure (or just wanting to get their Black Beauty on), how about exploring the Blue Mountains on horseback? Blue Mountains Horse Riding is located in the picturesque Megalong Valley spanning 2000 acres of rugged wilderness. The day rides offer a truly unforgettable experience through paddocks and beautiful rivers. High Country Trail Rides take you beneath canopies of pine forest and through pristine bushland, with one and two-hour trail rides as well as pony rides for the kiddies. Looking for things to do in the Blue Mountains that involve shopping? We hear you. Luckily, Leura is renowned for its beautiful boutique shops, which you could easily spend a whole day browsing. If you're on the hunt for a good book to curl up by the fire with (lucky duck), Megalong Books is a long-standing independent bookstore stocking over 15,000 titles. If you're looking to pick up something special to take home, head to Leura Antiques, a treasure trove of vintage homewares and furniture, or Elizabeth Rosa for beautiful stationary and design. No trip to the Blue Mountains is quite complete without visiting The Candy Store—a haven for the sweet tooths among us. Embrace your inner child and grab one of their lolly bags— you'll be thanking us later! 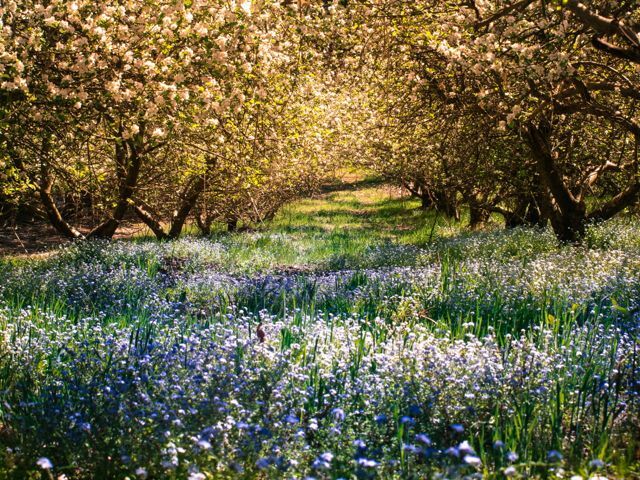 One of the Blue Mountains' best-kept secrets, the historic Logan Brae Orchard is situated in the upper Blue Mountains and is in full bloom during the winter months. Buy sweet apples and fresh juice at the Packing Shed, or soak up the spectacular views while enjoying a homemade hot apple pie. HOT APPLE PIE. 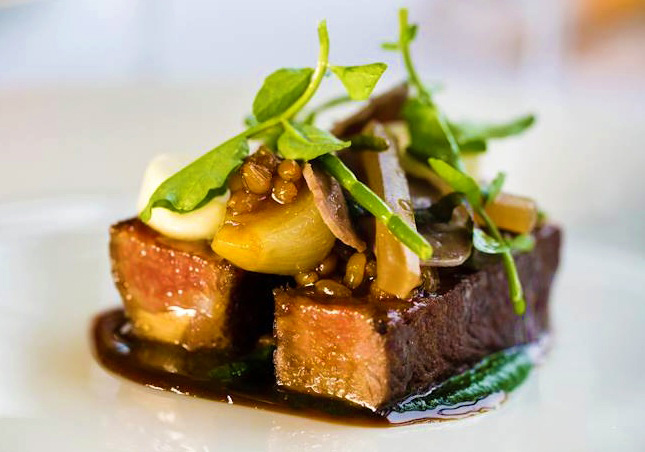 An icon on the Blue Mountains' dining scene, Silk's Brasserie serves a mix of European and Modern Australian cuisine. The menu changes seasonally but favourites include: the pan-seared scallops with tempura zucchini flower; lightly-peppered kangaroo fillet with baba ganouj; and, for dessert, the warm bittersweet chocolate fondant with vanilla Chantilly cream and poached pear. There's a well-curated wine list featuring distinct Australian and New Zealand drops as well, so this is really a no brainer. Undeniably one of the best restaurants in the Blue Mountains, Solitary occupies a charming heritage building with vistas across the Jamison Valley and the Southern Highlands. The lunch and dinner menus change seasonally and cater to every taste or whim. The kiosk also offers a casual café menu with scones, baguettes and a selection of cakes. Italian, Japanese, and Australian fusion? Set your qualms aside, because what we have here is one of the most exciting eateries in the Blue Mountains, hands down. With an eclectic menu of Italian pastas, rice dishes, and Japanese udon noodles (handmade daily), we guarantee you'll be spoiled for choice at Pins On Lurline. One for the health conscious, Rubyfruit is a 100% vegan bakery and café located in Leura mall. You'll find a selection of seriously good cakes, tarts, and pies on offer (many of which are also gluten-free), which are perfect when accompanied by Rubyfruit's soothing ginger and cardamom chai. This multi-award wining hatted restaurant is a must on your Blue Mountains hit list. Darley's is known for its fresh, local produce, fine wines, and contemporary Australian cuisine. Go a la carte or really treat yourself with Darley's delectable degustation menu, because why have two course when you can have five? For those looking to treat themselves, Lilianfels Resort & Spa is the epitome of luxury. The service is excellent with a wide range of facilities for guests, including an incredible spa sanctuary. After you're thoroughly primed and pampered, stop in for Lilianfels famed triple-tiered high tea. Delicious. Perfect for a romantic weekend getaway, the Fairmont Resort offers deluxe accommodation in the heart of the Blue Mountains. There's plenty to keep you occupied including a golf course, outdoor and indoor pool, spa, theatre, tennis courts, games room, and gym (in case you get tired of, y'know, sitting by the fire drinking wine…). 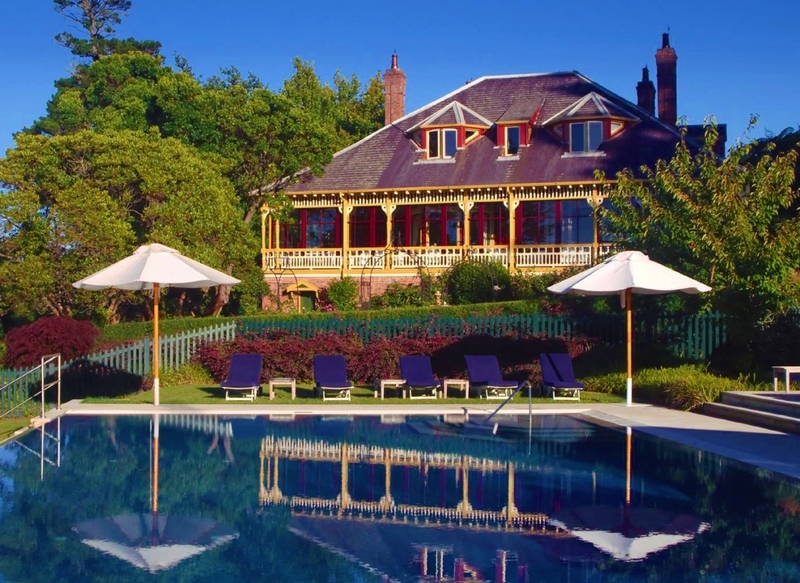 Nestled at the very edge of the magnificent Jamison Valley, Echoes Boutique Hotel & Restaurant is regarded as one of the finest hotels in the Blue Mountains and boasts uninterrupted panoramic views from every room. Relax in front of an open fireplace or treat yourself to a private spa and sauna (yes, please!) before dining at the award-winning Echoe's Restaurant. Got some tips for things to do in the Blue Mountains? Let us know what we should add to the list!